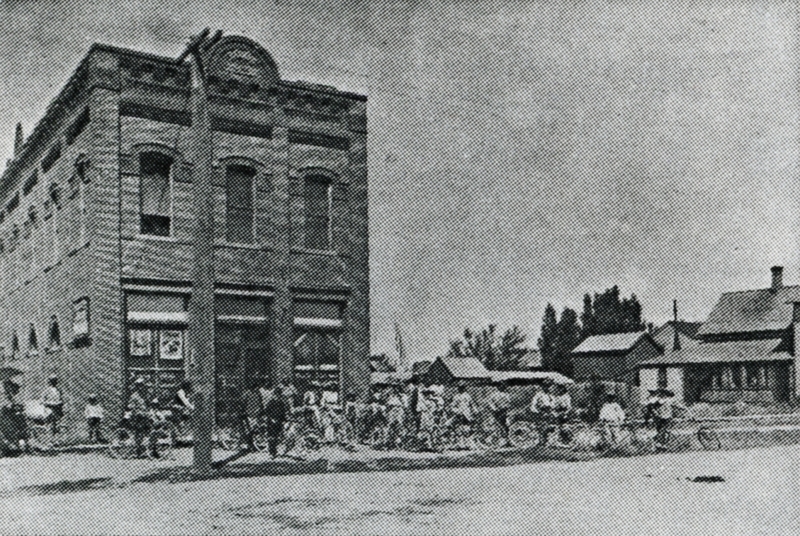 Bicycle Club Meeting In Front of 1891 IOOF Hall on Northwest Corner of Center Avenue and 8th Street. Vacation times in the Payette of the late 1800’s and early 1900’s depended, as always, on the available modes of transportation, which was via horse and buggy. Nearly all the town’s people managed a summer fishing trip or a leisurely hunting trip in the fall. Often, families would travel to Payette Lake, a journey requiring three days just to get there. It was an excellent way to escape the summertime heat. At this time, the only community festival was Payette’s Fourth of July celebration, the first occurring in 1893. Folks from Ontario, Weiser, Vale and Emmett were all invited. What everyone acknowledged as the “biggest Fourth ever” was celebrated in 1905 with games, contests, the big parade and a dance. The 1186 Lamme’s Hall is One of Payette’s Oldest Buildings. The Vinegar Works and Wooden Vats are Still in Use. Located on 6th Street. Intellectual pursuits in early Payette included literary and debating societies and home talent plays. The Independent newspaper pushed for a “public reading room” and a library society was formed to lend books. Theater has always proved a popular form of entertainment in Payette. In February 1902 J.W. 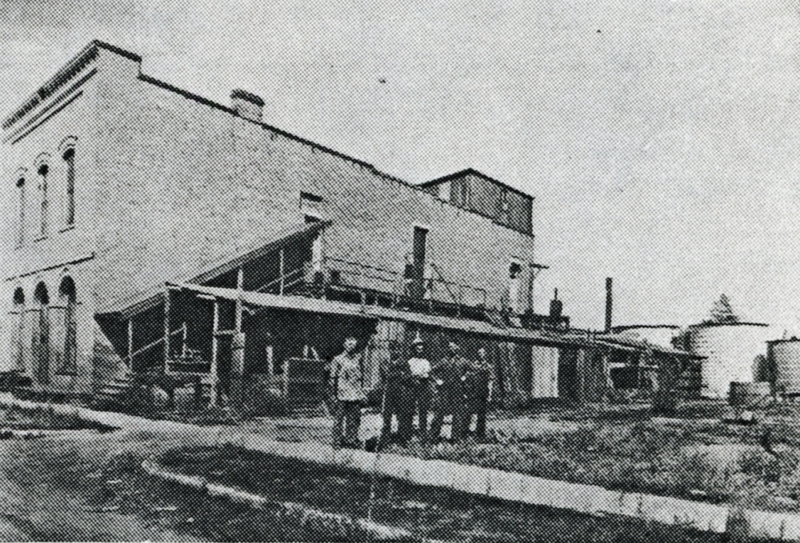 Lauer opened his Elite Opera House in what later became the Ritz Theater. When electricity became available in 1903 the Elite billed a “two hour moving picture show.” The Emma theater, located on 8th Street and 1st Street North, opened in 1909. Other early activities included popular Whist parties and singing groups that were formed for recitals. Even in 1880 Payette was established as a racing center of Idaho. A horse named Payette Kate was the fastest in the entire area. 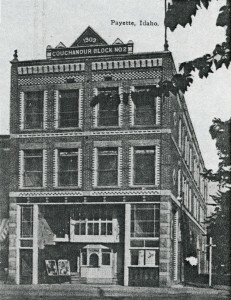 Formerly Located on Northeast Corner of 1st Street N and 8th Street. As early as 1886 David Lamme erected a two-story brick building with the upper floor used as a meeting hall and opera house. Known as Lamme’s Hall, the building housed parties and balls as well as the vinegar factory on the first floor. The Payette landmark still remains today. Payette has been host to numerous clubs and organizations. Payette women formed a suffrage club as early as September 1895. The Portia Club was formed in 1908. This organization spoke out on civic improvements, including street trees, cross-walks, neat trash boxes and strips of lawn. By mid-decade town merchants and farmers had organized the Payette Board of Trade, forerunner to the Commercial Club, which, in turn, became the Payette Chamber of Commerce.